Want to track your eCommerce sales data for your WooCommerce, MemberPress, or Easy Digital Downloads store with MonsterInsights? To start tracking your sales data, you’ll need to enable eCommerce tracking in your Google Analytics account. 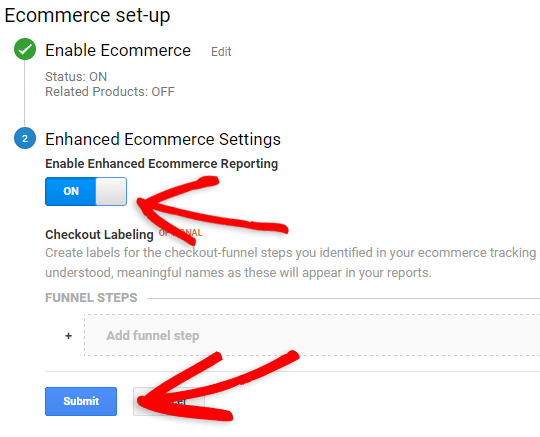 In this guide, we’ll show you how to enable eCommerce tracking in Google Analytics in just a few clicks. Before we begin, you’ll need to have the MonsterInsights eCommerce addon installed, which is available to Pro level users. Once you’ve purchased or upgraded to a Pro license, you will need to install the eCommerce addon. 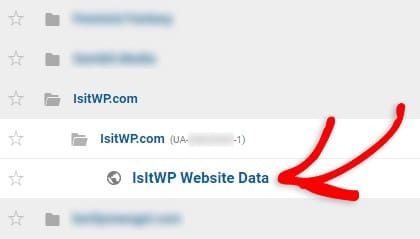 First, you’ll need to log in to Google Analytics. 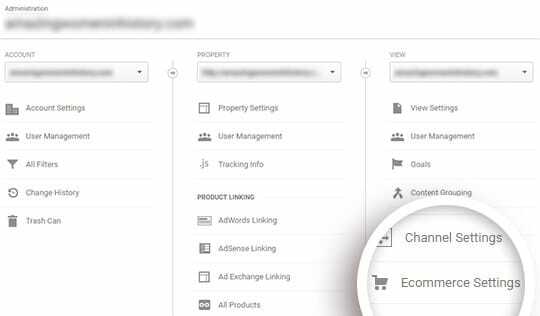 Then, select the right property (website) you’d like to enable eCommerce tracking for. 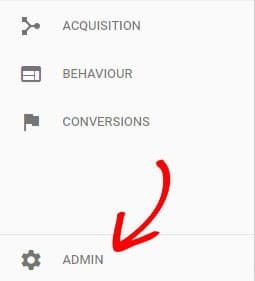 Next, click Admin in the right menu bar. If you like, you can turn the Enhanced Ecommerce Settings. For more information, see our guide on how to enable enhanced eCommerce in WordPress. Now you can get started with the MonsterInsights eCommerce addon.